Both a village and a hamlet, Massapequa Park is situated in the town of Oyster Bay, Long Island, in Nassau County in New York. The hamlet comprises areas that are situated east and south of the village because they are a part of the Town of Oyster Bay’s jurisdiction rather than the Village of Oyster Bay. 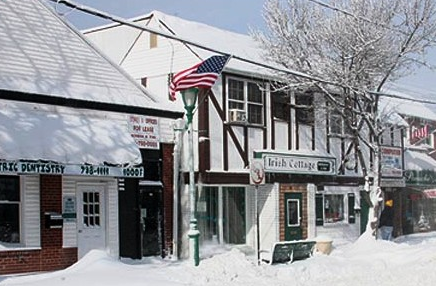 Massapequa Park is steeped in Native American history, as well as German history, as people of German descent settled here during the 19th century. It is also one of the first places where kit houses were erected in the middle part of the 20th century, which is when the population of the area boomed. According to the data released by the 2010 census, Massapequa Park was home to just over 17,000 residents. It can, of course, be assumed that more people live here today. The population is quite varied in terms of age; however, a large percentage of the people who live here are of driving age. Many of those who are part of the work force and live here commute to Manhattan, as it is relatively close to the borough. However, even those who do not travel to Manhattan to work commute. Though the Long Island Rail Road does provide public transportation, many people would rather not rely on it, as the system is often unreliable and it is rather costly. As such, many people prefer to drive their own vehicles. Since there is such a high volume of traffic on the roadways that run through Massapequa Park, accidents are not uncommon. Though most of the accidents that are reported are minor, serious incidents do occur. In order for motorists to properly protect themselves, they need to carry the right type of auto insurance. Plus, in order to drive legally anywhere within the State of New York, drivers must carry a minimum amount of coverage; 25/50/10, or $25,000 for a single injury, $50,000 for multiple injuries, and $10,000 for property damage. The cost of auto insurance fluctuates widely in Massapequa Park, as there are several variables that are taken into consideration when determining rates; but, on averages, motorist can expect to pay more than $2,000 a year for coverage. Shopping around is the best way to find the most affordable auto insurance. To find the cheapest rates, contact one of the trusted agents listed below, or enter your zip code above.